Thomas Carter Sr. of Natchitoches and Tina Denise Phillips of Winnfield announce their upcoming marriage ceremony. The ceremony will take place at First Baptist Church on 1116 Amulet St. in Natchitoches Saturday, Feb. 2 at 4:30 p.m. The reception will be at the Knights of Columbus Hall at 1105 East Fifth St. in Natchitoches. Tina Phillips is the daughter of the late Hershel Phillips Sr. and the late Rosa Mae Phillips. She is a 1997 graduate of Calvin High School. After graduation, Tina attended Northwestern State University, where she received her Bachelor’s Degree in general studies and a minor in social studies science. She later returned to NSU and received a Bachelor’s Degree in social work in 2013 and a Master’s Degree in social work in 2014 from Stephen F. Austin in Nacogdoches, Texas. 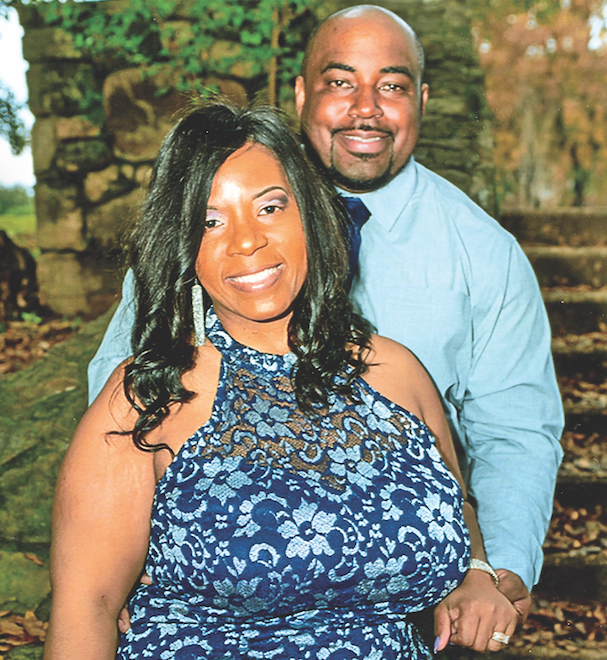 She worked as a social worker for several years and is now employed with the Natchitoches Parish School Board as a fourth grade teacher for M.R. Weaver Elementary School. Tina is also a member of Zeta Phi Beta Sorority Inc.
Thomas Carter is the son of the late Glenda Lou Williams Carter and George Jack Benjamin. He is a 2002 graduate of Natchitoches Central High School. After high school, Thomas went to work for his father as a cement finisher. In 2005, he received his CDL license and a year later, got a job as a concrete pump truck operator for Double J Concrete Pumping. Thomas is now a certified concrete pumper for Louisiana Concrete Pumping of Scott. He is a longtime member of First Baptist Church on Amulet Street. God had a higher calling for his life and in January 2017, he was elected by God and installed as the pastor of First Baptist Church. He is a student at the United Baptist Theological Seminary, Natchitoches Campus, where he will receive his Bachelor’s Degree in theology in May 2019.